This breed is a beautiful dog possibly crossed with some sort of Spaniel. 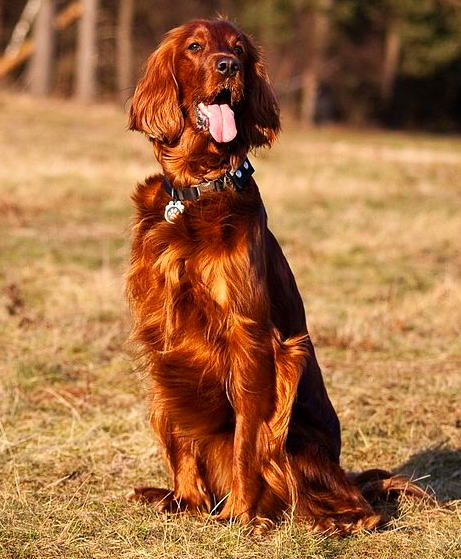 With their long wavy rust red hair-coat, the Irish Setter is beautiful to watch in the field! One word to describe the breed is classy. Whether in the field or in the home the Irish Setter struts its stuff. They are excellent family pets but I have to repeat this over and over in regards to Setters- they need a tremendous amount of exercise. One of their personality quirks is that the breed is very nervous and temperamental. This is exacerbated if the dog is not exercised enough each day or kept in confined quarters. This breed was never made to sit still! It is too BEAUTIFUL to be kept still! If not given enough exercise, the Irish Setter will find it difficult to pass a course in obedience training. In a confined area with loud noises, these animals will panic. On one of my emergency cases, an Irish Setter that was petrified of fireworks going off on the fourth of July decided to run straight through a huge plate of glass in the family room. I sutured up multiple lacerations on that dog. The owner, to say the least, was not amused. I really loved that animal. To this day, I still have a place in my heart for Cinnamon. Medical issues associated with the Irish Setter are few. Their floppy ears lead to multiple varieties of ear infections. In drier climates in the winter they often are prone to seborrhea sicca (dry skin). The Irish Setter is not as common as it was back in the 1980’s but for those that are willing to take care of its exercise requirements and personality quirks, this is a gorgeous breed to behold. 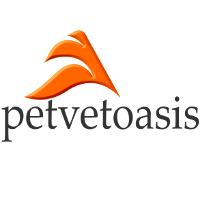 Learn more about the Irish Setter at Animal Planet’s® Dog Breed Selector.